This tutorial teaches you how to use the Samsung Knox SDK to create an app that implements a security policy to enable or disable the use of the camera on a Samsung device. 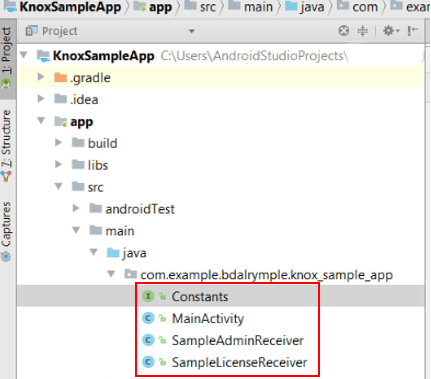 This app requires the KNOX_HW_CONTROL permission in the Android Manifest file. Download and install the Samsung Knox SDK. Implement a Device Admin Receiver for Android. Invoke a Knox SDK security policy to enable or disable the camera. By the end of the tutorial, you will have created 4 files. You are 1/10 done! Go to the next step.